The HDMI Audio splitter is a high-quality HDMI audio splitter/de-embedder, with 1 HDMI and 1 split stereo audio output, HDCP compliant and HDTV compatible. The antistatic case design of the HDMI Audio splitter provides good protection for stable performance, and its transmission resolution ups to 1920*1200@60Hz. 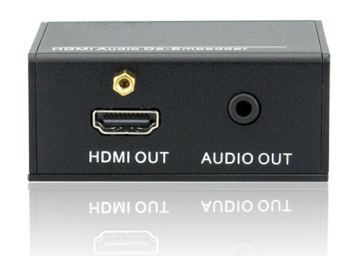 De-embed and split the HDMI audio to two different formats output (1 video output, 1 audio output). 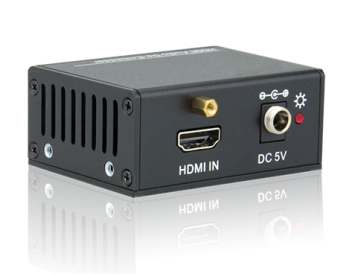 HDCP compliant, use HDMI 1.3 standard. HDTV compatible with High Definition Transmission up to 1920*1200@60Hz resolution (max).